If you’re not from Pittsburgh, then you may not be familiar with the long-standing tradition of cookie tables at weddings. It’s a regional tradition, and one that has been documented locally and in The New York Times. Even though a cake is served, it’s customary for the couple’s family and friends to bake homemade cookies for a display of cookies for guests to eat throughout the evening. Typically, the couple also provides take-home boxes for guests to fill up before they head home. It’s certainly one of my favorite Pittsburgh traditions; we certainly know how to do food! A little over a month ago, I was at a wedding with a fabulous cookie table and sampled some of the date bars. It reminded me that I had been wanting to pull out my great aunt’s recipe that I swore my grandma had. After multiple passes through her handwritten recipes and coming up empty, my mom made two calls to family in Wisconsin and tracked down the recipe. 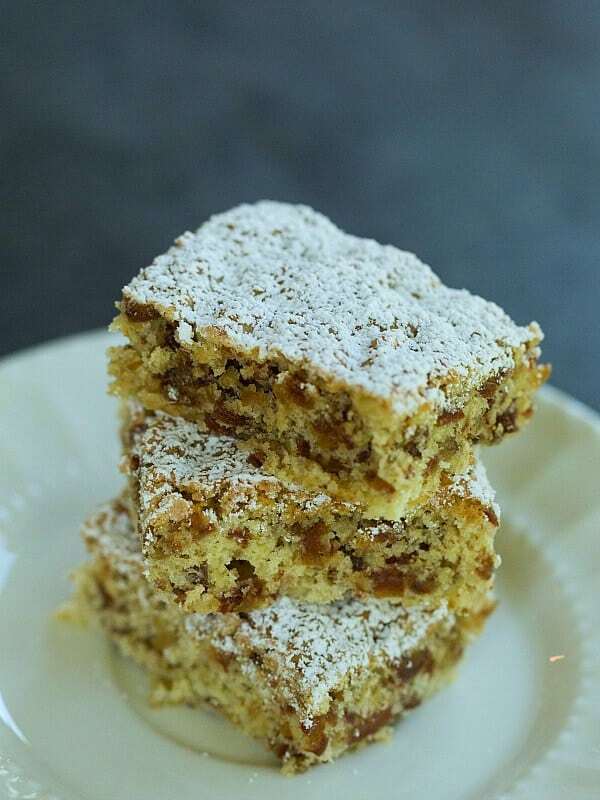 I did make some “date bars” last year, but as I mentioned at the time, they definitely had more of a cake-like blondie consistency. 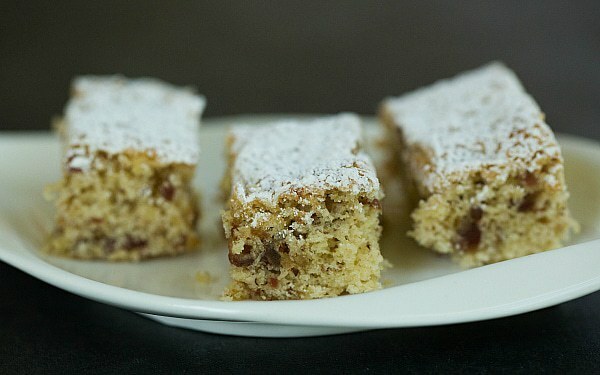 These new date bars are much more along the lines of what I have been craving. They’re thin and have the consistency of a soft biscotti – very spongelike and extremely soft. The dough is packed with so many dates that are so finely chopped that they are almost a paste. 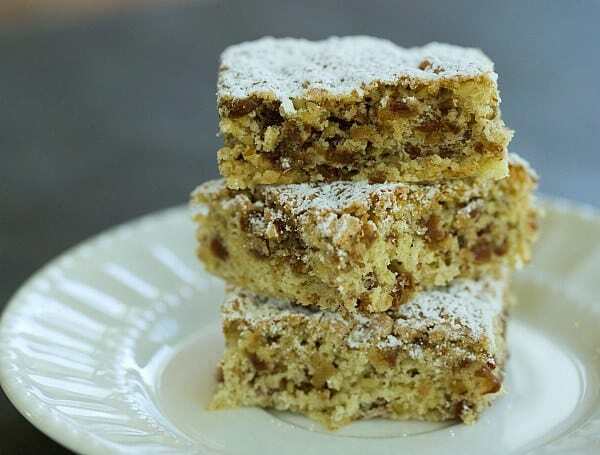 Throw in ground walnuts and a sprinkle of powdered sugar and you have the best date bars I’ve ever tasted. 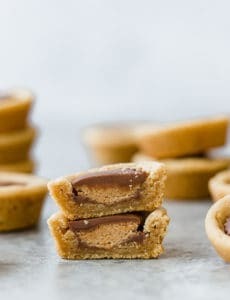 There’s no doubt that these are totally worthy of a cookie table. 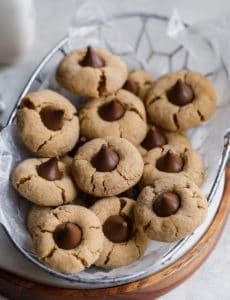 It’s too bad that my Zia Lena (who passed away quite awhile ago) didn’t live in Pittsburgh; I’m certain there would be people willing to pay her to bake for their cookie table! 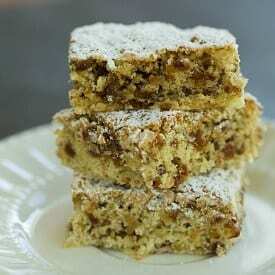 One of my very favorite date bar cookies, compliments of my late Zia Lena, my grandfather's sister. Preheat oven to 350 degrees F. Lightly grease a 10x15-inch jelly roll pan. Using an electric mixer on medium speed, beat together the sugar and butter, until combined (it will be crumbly). Add the eggs, water, vanilla extract and salt and beat until thoroughly combined, scraping the sides of the bowl as necessary. Reduce the mixer speed to low and gradually add the flour mixture. Use a rubber spatula to fold in the chopped dates and ground walnuts. Spread the batter in the prepared pan and bake for 20 to 25 minutes, or until a toothpick inserted into the center comes out clean. Allow to cool, cut into squares and dust. 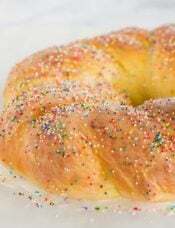 They can be dusted with powdered sugar, if desired. These cookies can be stored in an airtight container or covered tightly with plastic wrap, at room temperature for up to 1 week. I made this before and they come out very good, just don’t shop the days to fine. But this time I decided to try plums dried plums, AKA prunes. Turned out very good. It’s a great alternative for something very different. 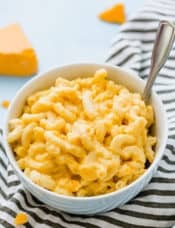 I made this recipe exactly as directed today. The bars were very good and got rave reviews from the fam. 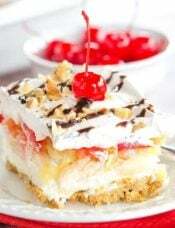 Thank you for sharing your family recipes. They are my favorites. Oh my WORD, these are out of this world. God Bless you and your Zia Lena. I had two bags of dates that needed using up, one of whole dates and one of chopped, but even the chopped were too big for my liking. I put both bags of dates together in my food processor with the cup of walnuts and pulsed them together a few times, and they came out perfect. These are like pillows! I skipped the powdered sugar only because I didn’t have any and didn’t want to make a trip just for that one ingredient. My mother and two aunts have already requested the recipe from me. Thank you so much for this treat, they’re just wonderful! Wishing you a Merry Christmas with all of your ‘boys’!!! Aw, I’m SO happy to hear that you enjoyed these! Merry Christmas to you and your family! I already have 16oz. Of the sugared chopped dates. Seems like a lot for the recipe. I know you use the other dates. Is there a difference in the amounts? I hate to waste what I already have. Hi Marlene, You could substitute those in without an issue. Love your blog. It’s great! Hi there! My name is Jessica, and I run a food blog called Floptimism where, every Saturday, I write a Weekend Wrap-Up post to share all of my favorite internet finds from the past week. I wanted to let you know that I absolutely loved both this post and the one on Homemade Greek Yogurt, so much so that I featured them both in my blog’s Weekend Wrap-Up. I’ve included the link to the post in case you’re interested. Thanks for such wonderful recipes! 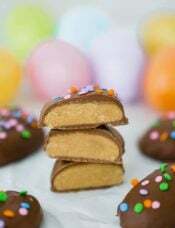 love dates and will be making these – my fav cookie of all time is my grandmother’s date-pinwheels and I make them every Christmas. One of my sons mentioned them recently. 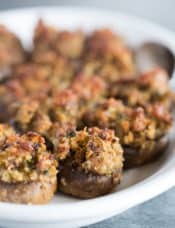 Could you substitute pecans for the walnuts? I love family recipes. 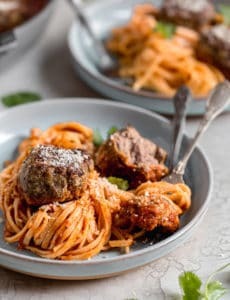 I’ve never used dates but I’m definitely going to try this recipe. Funny you should mention cookie table, as am from Youngstown, OH (about and hour from Pittsburgh) and the ethnic traditions are alive and well in this area. I am Italian also and NO wedding is complete without the prerequisitie cookie table. As I was reading your post, I was actually baking cookies for a wedding next weekend. I sell Christmas cookies so I get alot of request for weddings also. Thank you for sharing all the wonderful ethnic recipes from your own files. 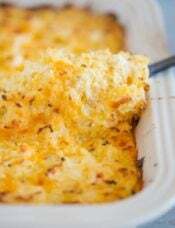 Sometimes just the memories that flood you when you are making a “family” recipe is worth it! I tried these last night and they turned out only ‘OK’. When comparing mine with the photos I think the problem was the dates- mine were much bigger. Do you have any tips or secrets to chopping dates finely? Hi Shannon, I use a very large chef’s knife and have patience. It takes awhile to get them chopped up nice and fine, but it’s definitely worth the time!